The expansive field of drug surveillance has increased the complexity of problems across the board in relation to PV auditing and meeting the standard requirements. Companies continue to face challenges of understanding the key considerations when presenting to auditors and knowing how to adequately adapt to different regulatory environments and changes. Moreover, clarifying individual roles within the PV system is paramount to setting out clear goals and meeting regulatory expectations. For any company looking to globalise their business, the governance of reporting adverse drug events by different centralised authorities, along with heterogeneous terminologies and competing priorities has created greater uncertainties and barriers to enter new markets. The daunting task of complying with multiple regulations also heightens the danger of unrealistic expectations as well as mounting costs and time that will have long-term implications on investment. Therefore, the importance of a centralised database has never been more vital to employ knowledge sharing and product awareness. Join SMi in tackling these issues: 2015 will bring a focus on drug surveillance and signal detection; analysis and prevention of adverse drug reactions with MedDRA, industry experiences and global regulatory coverage of developments. Furthermore, we will cover Eudravigilance, and the growing trend of outsourcing Pharmacovigilance, as well as navigate through the challenges of compiling PSUR’s and frequent safety reports and how to adapt better to regulatory updates by preparing key areas that will be most impacted. • Assessing the benefits and challenges behind outsourcing Pharmacovigilance practices. Dr. Lesley Wise is Vice President of Global PV Risk Management and Pharmacoepidemiology at Takeda, where she has responsibility for global risk management processes, benefit-risk assessment processes and implementation of risk management plans. In her current role, Lesley works closely with Pharmacovigilance, Regulatory and Medical Affairs colleagues to ensure a “joined up” approach to Benefit - Risk Management. Lesley has a background in epidemiology and statistics, which is useful in implementing benefit risk methods. She is also an honorary lecturer at the London School of Hygiene and Tropical Medicine and an associate editor of Therapeutic Advances in Drug Safety. Margot has over 15 years of experience in the pharmaceutical industry. She has in-depth knowlegde in post-marketing pharmacovigilance and risk management, with a hands-on expertise in setting-up and implementation of safety signal management processes and signal detection methodologies. Margot holds a Masters degree in Biochemistry, complemented with a Masters in Public Health and a Masters in Human Nutrition. Prior to joining Quintiles, Margot was employed by Merck Serono for 14 years, where she held various positions with increasing responsibiility. In the Safety department she acted for 10 years as a safety product lead managing all pharmacovigilance aspects of several investigational and marketed products. During 12 years (1986-1998) she worked at university hospitals in the Copenhagen area. In 1995 she became specialist in internal medicine. Her clinical experience covers nephrology, endocrinology, haematology, cardiology and infectious diseases. Her research activities were primarily within the areas of haematology, immunology, nephrology and endocrinology. She joined the Danish regulatory authorities and the EU Pharmacovigilance Working Party in 1998. In 2012 she became member of the Pharmacovigilance Risk Assessment Committee (PRAC). Her regulatory experience comprises all aspects of pharmacovigilance, including scientific evaluation of drug safety issues, development of risk management strategies, policies and guidelines, provision of scientific advice to the pharmaceutical industry, and communication to health care professionals and the public. What are the core and emerging challenges of adhering to Pharmacovigilance laws and risk management? How do we advocate towards a greater patient -centric system? What has been the main methodology developments used to monitor ADR's more rigorously? Does the shift towards emerging markets pose a risk to drug safety and biased data reports? How can communication between regulators, regional authorities and patients be further enhanced? · How is it implemented in the pre- and post- marketing approval of medicinal drugs? Dr. Julia Appelskog is the QPPV at Bluefish Pharmaceuticals. She is a member of the European Generic Association (EGA) and the Chairman of the Drug Safety and PV working Group at Swedish Generic Medicines Association (FGL). She has more than 12 years of experience in Pharmacovigilance and 8 years of experience in biomedical research including experience in numerous therapy areas and product types such as medicinal products, including biopharmaceuticals and vaccines, medical device and cosmetics. Julia hold different leading positions within pharmacovigilance in large pharma companies, such as MSD, Johnson & Johnson and Sanofi Pasteur MSD. Her expertise spans the entire product life cycle. She has been involved in variety of intervention and non-interventional epidemiological and clinical trials and was responsible for the Quality Assurance, Regulatory Affairs and Medical Information. Dr. Appelskog has accomplished a PhD Thesis in cell biology at the Karolinska Institute (Sweden) in 2001, focusing on diabetes research. She has been a postdoctoral fellow at the Department of Clinical Neuroscience at Karolinska Institute, conducting research on epigenetic mechanisms, modification of DNA and its associated proteins in tumor cells. Julia is author of several scientific publications in diabetes and cancer research. Julia was involved in the evaluation of diabetic drugs at Current Drugs LTD and was a member of working group creating case definitions in Brighton Collaboration, providing support to vaccine safety research. She has been a member of PV Focus Group at AESGP to shape the regulatory environment and have been an active member of PV Committee at the Pharmaceutical Industry in Sweden (LIF) for more than 7 years. Since 2006, she has been given several presentations within pharmacovigilance field. Mircea Ciuca, MD, is Head of Medical & Clinical Drug Safety at Vifor Pharma Switzerland, where he is leading a team of scientists and physicians involved in all aspects of pharmacovigilance. Prior to joining Vifor Pharma he held various positions in Drug Safety at large pharmaceutical companies (MSD, Astellas) in The Netherlands, after he had successfully established and led the medical-scientific department of a medium-sized CRO in Rotterdam. Mircea is specialized in Emergency Medicine and Obstetrics & Gynecology, has been involved in clinical practice and academic teaching for about 12 years, and has about 10 years experience in drug safety. Monitoring risks – are routine PV activities enough? View details The International Journal of Risk & Safety in Medicine Official Media Partner http://www.iospress.nl/journal/the-international-journal-of-risk-safety-in-medicine/ The International Journal of Risk and Safety in Medicine is concerned with rendering the practice of medicine as safe as it can be; that involves promoting the highest possible quality of care, but also examining how those risks which are inevitable can be contained and managed. This is not exclusively a drugs journal. Recently it was decided to include in the subtitle of the journal three items to better indicate the scope of the journal, i.e. patient safety, pharmacovigilance and liability and the Editorial Board was adjusted accordingly. View details British Pharmacological Society Supporters http://www.bps.ac.uk The British Pharmacological Society (BPS) is the primary UK learned society concerned with research into drugs and the way they work. Our members work in academia, industry, regulatory agencies and the health services, and many are medically qualified. The Society covers the whole spectrum of pharmacology, including laboratory, clinical, and toxicological aspects. Clinical pharmacology is the medical speciality dedicated to promoting safe and effective use of medicines for patient benefit. Clinical pharmacologists work as consultants in the NHS and many hold prominent positions in UK Universities. View details EIN News Supporters http://www.einnews.com EIN News is the world leader in industry focused online news monitoring. Thousands of leading companies, institutions and global professionals from business, industry, and government rely on EIN News as an indispensable resource. Our systems continuously scan the web, indexing news from thousands of worldwide sources. The news you need is then organized by advanced software systems managed by a team of professional news editors. Everything we do is focused on streamlining your news searches and research in order to save you time and money. View details GenomeWeb Supporters http://www.genomeweb.com GenomeWeb LLC is an independent, privately-held online and print publisher based in New York. Since 1997, GenomeWeb has served the global community of scientists, technology professionals, and executives who use and develop the latest advanced tools in molecular biology research and molecular diagnostics. GenomeWeb’s editorial mission is to serve readers with exclusive, in-depth coverage of the technology, institutions, and scientists that make up the worldwide research enterprise of molecular biology. We operate the largest online news organization focused on advanced research tools in genomics, proteomics, and bioinformatics. GenomeWeb readers can be found in major biopharmaceutical companies, top research universities, biomedical institutes, and government laboratories. View details HealthEconomics.com Supporters http://www.healtheconomics.com A pioneer in the field, HealthEconomics.Com is the world’s most comprehensive and credible website for resources and jobs in healthcare value and market access. 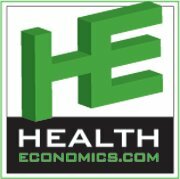 A trusted resource, HealthEconomics.Com contains the hottest news, jobs, policy updates, professional development, and education resources, and offers unparalleled advertising opportunities. As the #1 Google ranked website in health economics, HealthEconomics.Com attracts 11,000 visitors every month and the well-respected Newsletter reaches 20,000 professionals every week. The comprehensive content is carefully selected by a discerning health economist editor, making us the most visited website for healthcare value and market access in the industry, with visitors encompassing all corners of the globe. View details IOS Press Supporters http://www.iospress.nl IOS Press publishes about 120 new books and 100 international journals each year covering topics ranging from computer science and mathematics to medicine and the natural sciences. All titles in this catalogue are available online as well as in print. Many titles are covered in the most important abstracting databases, such as Thomson Reuters / ISI, MEDLINE and SciVerse Scopus. Headquartered in Amsterdam with satellite offices in the USA, Germany, India and China, IOS Press has established several strategic co-publishing initiatives. Notable acquisitions included Delft University Press in 2005 and Millpress Science Publishers in 2008. IOS Press journals are available through the highly-regarded MetaPress platform. View details LabRoots Supporters http://www.labroots.com/ LabRoots is a free, social networking site that enables scientists, engineers, and other technical professionals to connect, collaborate with, and learn from each other. LabRoots fosters world-wide scientific communication and incorporates the newest social networking technologies. LabRoots allows scientists to connect with each other as they describe their research interests on a myriad of unique features and tools, discovering meaningful collaborations across geographic boundaries and fields of expertise. View details Medical News Today Supporters http://www.medicalnewstoday.com Medical News Today is the largest independent medical and health news site on the web - with over 10,000,000 monthly unique users it is ranked number one for medical news on all major search engines. Medical News Today is used by pharmaceutical, biotech and health organizations, advertising agencies, PR companies and vertical ad networks to deliver targeted campaigns to HCPs, patients and caregivers. To find out how Medical News Today can help you to reach the right audience contact peter@medicalnewstoday.com or visit www.medicalnewstoday.com. View details Pharmaceutical Online Supporters http://www.pharmaceuticalonline.com The premier sourcing site for the pharmaceutical manufacturing industry – find industry information on critical environment, particle sizing, pharma process control, pharma material handling, tablet production, pharma sterilizing, pharma cleaning, pharma filtration, pharma packaging, pharma inspection, & much more. Use our supplier directory, product showcase, and offline search service to expedite your discovery of new products and services. View details PharmCast Supporters http://www.PharmCast.com www.PharmCast.com is the world leading website designed specifically for pharmaceutical, clinical and biotechnology professionals. www.PharmCast.com brings up-to-date information on pharmaceutical patents, FDA, news, jobs and Buyer's Guide to our visitors. It was created and is maintained by pharmaceutical and biotechnology professionals. Visit www.PharmCast.com and discover for yourself why it is so popular among professionals. Attendee list for Pharmacovigilance 2015: Is your name on the list? The International Journal of Risk and Safety in Medicine is concerned with rendering the practice of medicine as safe as it can be; that involves promoting the highest possible quality of care, but also examining how those risks which are inevitable can be contained and managed. This is not exclusively a drugs journal. Recently it was decided to include in the subtitle of the journal three items to better indicate the scope of the journal, i.e. patient safety, pharmacovigilance and liability and the Editorial Board was adjusted accordingly. The premier sourcing site for the pharmaceutical manufacturing industry – find industry information on critical environment, particle sizing, pharma process control, pharma material handling, tablet production, pharma sterilizing, pharma cleaning, pharma filtration, pharma packaging, pharma inspection, & much more. Use our supplier directory, product showcase, and offline search service to expedite your discovery of new products and services. GenomeWeb LLC is an independent, privately-held online and print publisher based in New York. Since 1997, GenomeWeb has served the global community of scientists, technology professionals, and executives who use and develop the latest advanced tools in molecular biology research and molecular diagnostics. LabRoots is a free, social networking site that enables scientists, engineers, and other technical professionals to connect, collaborate with, and learn from each other. LabRoots fosters world-wide scientific communication and incorporates the newest social networking technologies. LabRoots allows scientists to connect with each other as they describe their research interests on a myriad of unique features and tools, discovering meaningful collaborations across geographic boundaries and fields of expertise. www.PharmCast.com is the world leading website designed specifically for pharmaceutical, clinical and biotechnology professionals. www.PharmCast.com brings up-to-date information on pharmaceutical patents, FDA, news, jobs and Buyer's Guide to our visitors. It was created and is maintained by pharmaceutical and biotechnology professionals. Visit www.PharmCast.com and discover for yourself why it is so popular among professionals. EIN News is the world leader in industry focused online news monitoring. Thousands of leading companies, institutions and global professionals from business, industry, and government rely on EIN News as an indispensable resource. Our systems continuously scan the web, indexing news from thousands of worldwide sources. The news you need is then organized by advanced software systems managed by a team of professional news editors. Everything we do is focused on streamlining your news searches and research in order to save you time and money. IOS Press publishes about 120 new books and 100 international journals each year covering topics ranging from computer science and mathematics to medicine and the natural sciences. All titles in this catalogue are available online as well as in print. Many titles are covered in the most important abstracting databases, such as Thomson Reuters / ISI, MEDLINE and SciVerse Scopus. Headquartered in Amsterdam with satellite offices in the USA, Germany, India and China, IOS Press has established several strategic co-publishing initiatives. Notable acquisitions included Delft University Press in 2005 and Millpress Science Publishers in 2008. IOS Press journals are available through the highly-regarded MetaPress platform. Medical News Today is the largest independent medical and health news site on the web - with over 10,000,000 monthly unique users it is ranked number one for medical news on all major search engines. Medical News Today is used by pharmaceutical, biotech and health organizations, advertising agencies, PR companies and vertical ad networks to deliver targeted campaigns to HCPs, patients and caregivers. To find out how Medical News Today can help you to reach the right audience contact peter@medicalnewstoday.com or visit www.medicalnewstoday.com. The British Pharmacological Society (BPS) is the primary UK learned society concerned with research into drugs and the way they work. Our members work in academia, industry, regulatory agencies and the health services, and many are medically qualified. The Society covers the whole spectrum of pharmacology, including laboratory, clinical, and toxicological aspects. Clinical pharmacology is the medical speciality dedicated to promoting safe and effective use of medicines for patient benefit. Clinical pharmacologists work as consultants in the NHS and many hold prominent positions in UK Universities. A pioneer in the field, HealthEconomics.Com is the world’s most comprehensive and credible website for resources and jobs in healthcare value and market access. A trusted resource, HealthEconomics.Com contains the hottest news, jobs, policy updates, professional development, and education resources, and offers unparalleled advertising opportunities. As the #1 Google ranked website in health economics, HealthEconomics.Com attracts 11,000 visitors every month and the well-respected Newsletter reaches 20,000 professionals every week. The comprehensive content is carefully selected by a discerning health economist editor, making us the most visited website for healthcare value and market access in the industry, with visitors encompassing all corners of the globe.